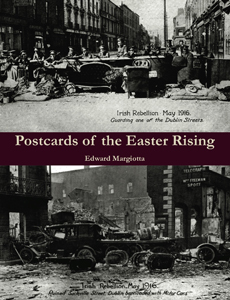 Essentially the book is a narrative about the Easter Rising of 1916 liberally illustrated with original picture postcard images. The Rising and its immediate aftermath were comprehensively recorded by photographers and postcards of the events and personalities involved were quickly published. The author has probably the most extensive collection of these cards and 244 of them are shown in the book which also deals with the War of Independence, Treaty Conference and the Civil War. Also included are chapters on the postcard publishers themselves with details of these firms' history and the cards they published for the Rising.